I just bought one of these Pac-Man Moleskine notebooks. What can I say? I like Pac-Man and it came with free stickers! Mexican Pepsi. Ten times better than Mexican Coke. That is decidedly NOT a silly purchase. Where and how much? I would commit numerous crimes for a steady source of that. Except all the Mexi-Pepsi I've seen is made with HFCS. Mexi Coke is real sugar. As an experiment I tried a 'Mochi' cake at my usual sushi stop. Not to offend any Japanese people, and I do love most Japanese food, but it was like an ashtray filled with yoghurt. I got some gift cards for Christmas and New Year's night I apparently hit up Amazon after just a wee bit of drinking. These started arriving a week or so later and I had to look up my Amazon history to find out what was going on. I feel a bit silly, but then again I did have them in my wishlist. 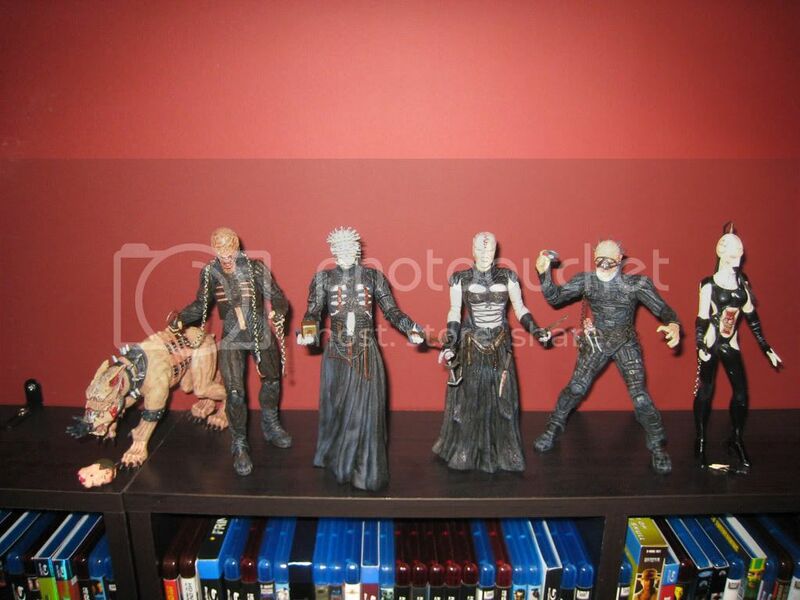 So my silly purchase gets here on Tuesday along with a sily gift for my friend. I am super pumped. Oh, it is a Top hat and a bowler respectively. So my silly purchase gets here on Tuesday along with a sily gift for my friend. I am super pimped. Oh, it is a Top hat and a bowler respectively. I have a very silly purchase coming, I will wait for it to arrive in a week or so, hopefully, and post pics and an explanation of sorts. I bought it at the local Meijer. It was a dollar a bottle. 50 cents off regular price. I stocked up. Feast your eyes on this, my friend. That Pepsi is clear! Crystal PEPSI! C'mon guys, I was holding that bottle of Pepsi in my hands. I held out as long as I could. They just seem to pour themselves into my belly as soon as I touch them. I don't live within a reasonable distance of Meijers; I will check Wally-world, doubt they will carry it they never got Mexi-Coke. 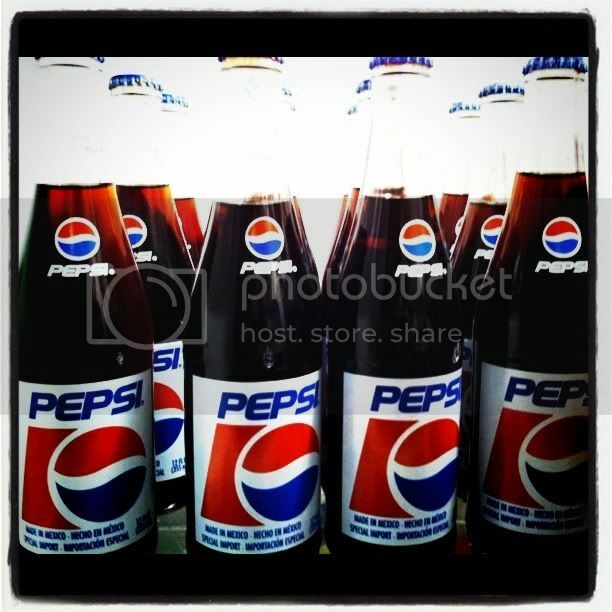 You just made my dreams come true though, I have been craving Pepsi in a glass bottle for the longest time. Used to be a treat as kid to get a whole bottle to yourself (stupid brothers and sister and sharing). On a side note, my wife went with me and thought I was a freak for buying them. I had to promise not to wear them out of the house so hopefully they'll grow on her in due time. I need to find a measuring device around here so I can pick up a pair of those. I'm probably going to have to order mine and have them shipped though. 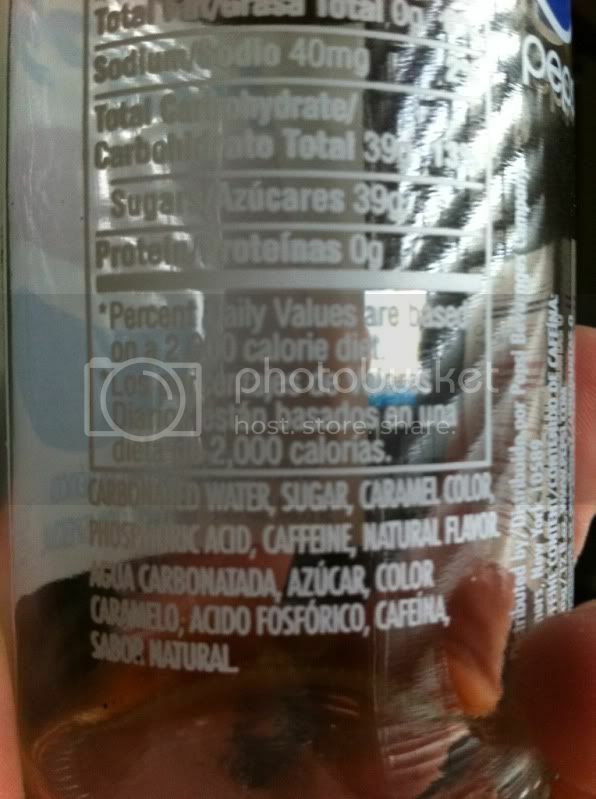 On Mexi-Pepsi: Cool deal, all the stuff they had in San Angelo(I was there summer of 09) was HFCS. Coke was real sugar though. Dunno about Mexican Pepsi, but you can get Mexican Coca-Cola at most Costcos, I believe. No Costcos either. You guys don't seem to get how little there is around me, I have to drive 45 minutes to get to a Sams Club. I have to make due with a regular Walmart. 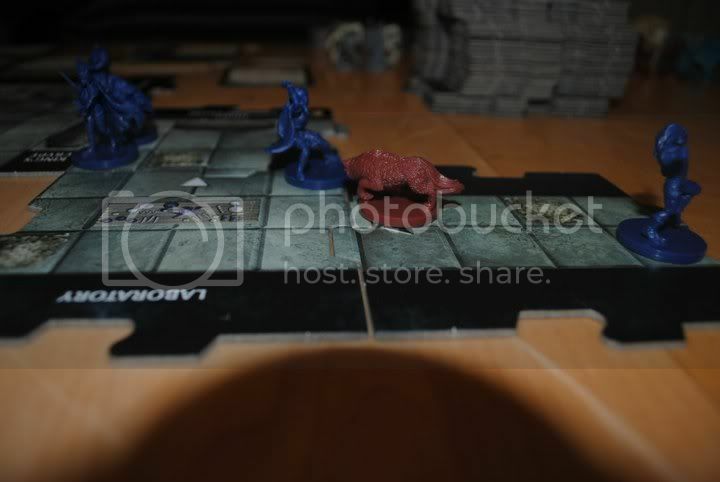 Picked up Castle Ravenloft on Friday and talked my in-laws into playing. Need to get the wife to upload the pics, tho. You must have SOME kind of Mexican food store somewhere near you. I mean, they're everywhere. Tagged. [yawn] I'll upload silly images tomorrow. Little Big Planet (Recalled edition) and it's sequel are not silly. 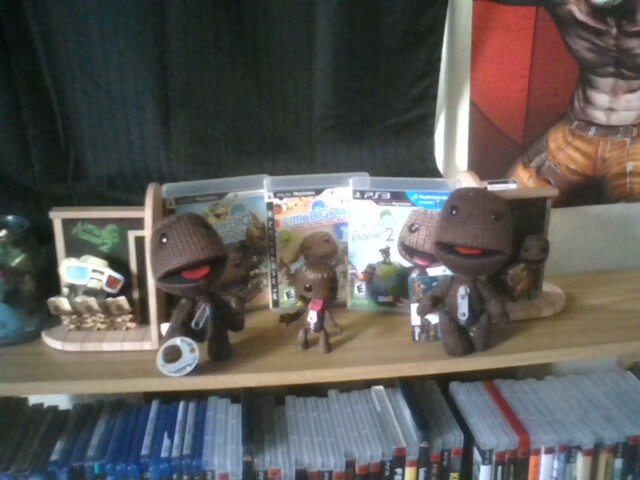 The Game of the Year edition, the LBP2 CE bookends with plushie, the additional plushie, and the sackboy action figure are all very silly. Would this be considered a silly purchase? It's not so much that beer is silly it's just that I already have another one bubbling away right now. I really don't need 10 gallons of beer at once do I? I bought a 1:24 scale 69 GTO to go on my desk. Technically that was last month's silly purchase. This month I've been pondering that 67 Mustang GT500. 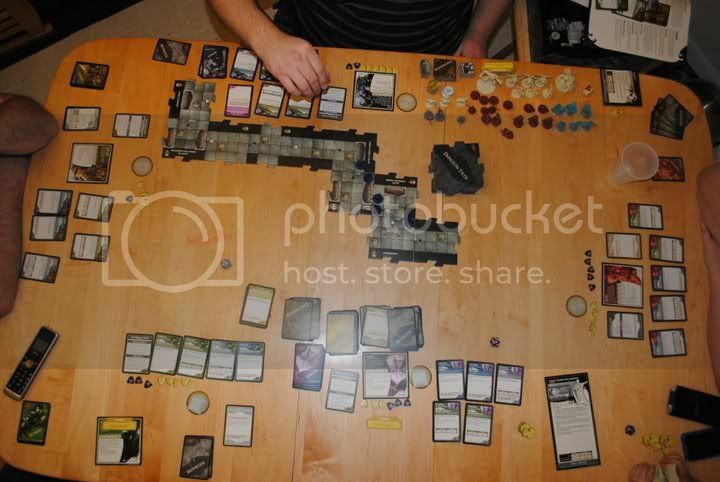 As promised, Ravenloft action shots! Kitchen table with a game in progress. Since it was the first time we had all played, I chose the simplest scenario - Escape from the Castle. Table-level view of my rogue fighting off a wolf. Normally it wouldn't be that silly a purchase, but I had to pay a $10 special order premium to my LCS for the purchase. The amount of fun we had over the long weekend well justified the premium, though. My in-laws are not non-traditional boardgame types and would certainly never play P&P games like D&D with me. 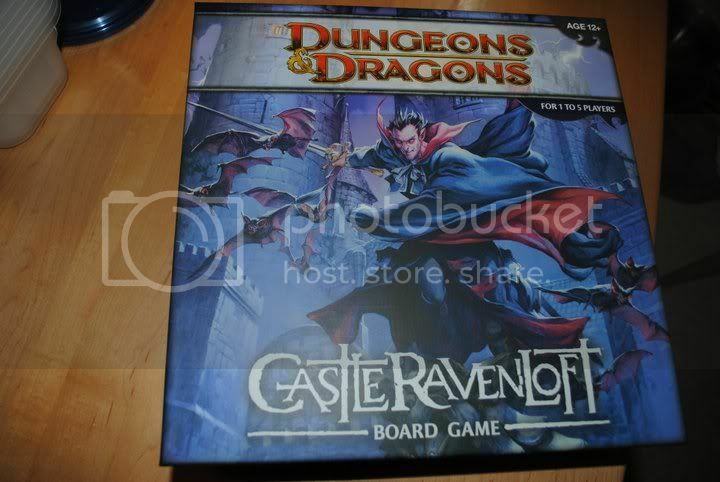 Ravenloft was a big hit, however. I really don't need 10 gallons of beer at once do I? No, you need at least 20.